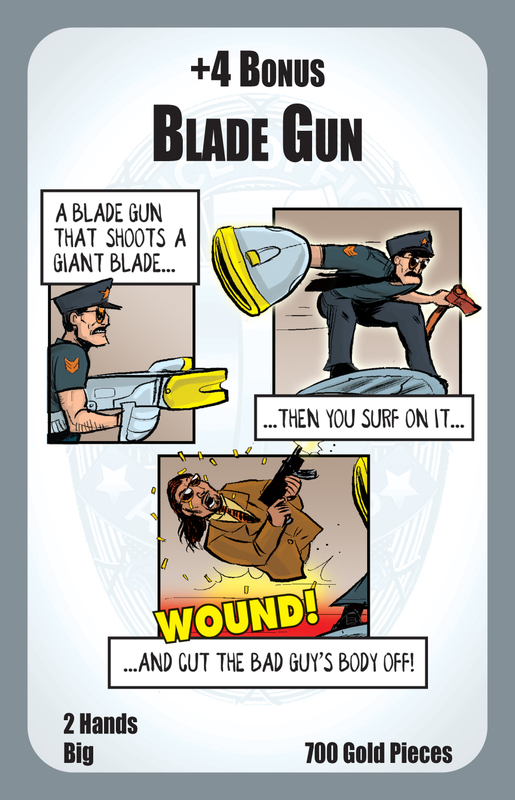 It's time to sneak a peek at another card from Munchkin Axe Cop! This week, we look at one of my favorite weapons: Blade Gun. Oh, and the pseudo-onomatopoeia of "Wound!" is the cherry on the top. Of course that's the sound a giant blade makes when surfing through a body. 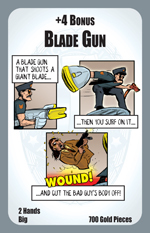 Blade Gun is one of the 168 cards in Munchkin Axe Cop, shipping this October.